In a recent article Citizens Count explored one measure of partisanship – “party unity” – over the past twenty years of the New Hampshire Legislature. That data generally showed that partisanship is increasing in the New Hampshire House but roughly steady (and lower overall) in the New Hampshire Senate. As that article noted, there are dozens of factors that likely influence partisanship in the New Hampshire House and Senate. Without controlling for those factors, it’s impossible to reach a firm conclusion as to what is making the New Hampshire House more partisan and keeping the Senate on an even keel. However, there are some patterns worth exploring. In this follow-up article, we examined what variables might influence the party unity measure of partisanship. Does one party’s leadership tend to inflame partisanship? That seems to depend on whether you’re looking at the House or the Senate. Over the past twenty years in the New Hampshire House of Representatives (1999 through April 4, 2019), party unity has tended to be higher when Democrats hold a majority of seats. On average, party unity was 82% when Democrats held a majority and 68% when Republicans held a majority. However, that may reflect competitiveness more than party agendas. Whenever Republicans have held a majority, it has tended to be a large majority – on average 63% of the seats. When Democrats have held a majority, it has tended to be smaller – on average 57% of the seats. Party unity therefore may have been higher during Democratic majorities because there was a narrower gap between Republicans and Democrats. Democrats would have to strictly muster their members to pass bills. Competitiveness also seems to have the opposite effect in the House and Senate. While competitiveness seemed to increase partisanship in the House, in the Senate party unity was highest when there was the biggest difference between the number of Republicans and Democrats. Senate party unity peaked during the biggest Republican majorities: in 2003 (Republicans had a 75% majority) and 2011 (Republicans had a 79% majority). New Hampshire legislators have to attend committee meetings, vote on hundreds of bills, and pass a budget several thousand pages long – all within six months. When the volume of that work increases, do legislators rely more on party leaders when deciding to vote? It seems the answer is generally “yes,” at least in the House. Every two year session, New Hampshire representatives introduce about 1,250 bills and senators introduce about 450. There is fairly wide variation in that number, and there are almost always fewer bills in the first year of a session. This is partly because in the first year of the session legislators must craft the budget. Prior to the 2013/2014 legislative session, party unity was almost always higher in the first year of the session, in both the House and Senate. However, that trend flipped in 2014. One possible reason for the flip: Medicaid expansion. New Hampshire first authorized Medicaid expansion in 2014, after more than a year of hot debate. That started a tradition of revisiting the program in non-budget years, although some lawmakers argued the debate over the program should take place during the budget process. Perhaps the big Medicaid debate each year set a more partisan tone. It remains to be seen if 2020 will be more partisan than 2019 in New Hampshire. In the House there also seems to be a small relationship between the number of bills and party unity, with higher party unity in years with more bills. House sessions with fewer than 1,200 bills had an average party unity of 69% each biennium. House sessions with 1,200 to 1,300 bills had an average party unity of 73%. House sessions with over 1,300 bills had an average party unity of 74%. This makes sense if representatives are overwhelmed by the number of bills and look more to their party for advice on how to vote. There was not any clear relationship between the number of bills and party unity in the Senate, however. Are state legislators influenced by partisanship at the federal level? While New Hampshire officials often pride themselves on being less partisan than the federal government, the data show that’s not necessarily true. From 1999 through 2010, the New Hampshire House of Representatives had much higher party unity than the U.S. House of Representatives. Since then party unity in the New Hampshire House has been very close to party unity at the federal level – mostly because the U.S. House has become more partisan, as opposed to New Hampshire becoming less so. It’s still too early to conclude if that trend is changing at the federal level, since federal voting continues through the year. (The vast majority of voting in New Hampshire takes place from January through June.) Some analysts are betting partisanship in the U.S. House will increase again in 2019. On the other hand, the New Hampshire Senate is arguably not much more partisan than the U.S. Senate. With the notable exceptions of 2010 and 2011, the New Hampshire Senate and U.S. Senate have often seen similar party unity scores over the past two decades. About half of the time the U.S. Senate had higher party unity than the New Hampshire Senate. Neither the New Hampshire Senate nor the U.S. Senate has gotten much more partisan over the past two decades. What else might affect partisanship? 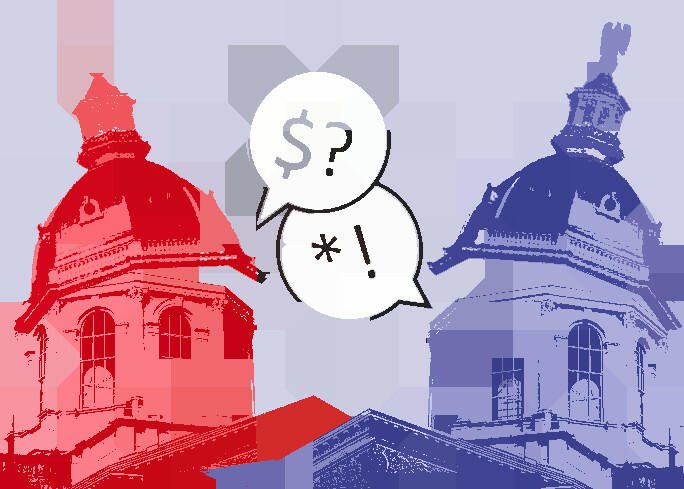 Political scientists have studied the role of campaign finance and lobbying on partisanship, but a similar study would be very difficult in New Hampshire, since the vast majority of lobbying and campaign finance reports are in a format that does not allow users to easily search or aggregate data. It would also be worthwhile to explore how voters’ views of partisanship, length of legislators’ terms, racial diversity, and gender all influence party unity in the New Hampshire Legislature. Ultimately partisanship itself – including the “party unity” measure – is just one way to evaluate legislators. Find your elected officials on our website, CitizensCount.org, to review their issue positions, background, voting records, campaign finance, and more. At the end of this legislative session, we will update all of our elected official pages with individual data on attendance and party unity for 2019. Is there a particular aspect of legislator activity you think Citizens Count should explore? Contact us or leave a comment below.